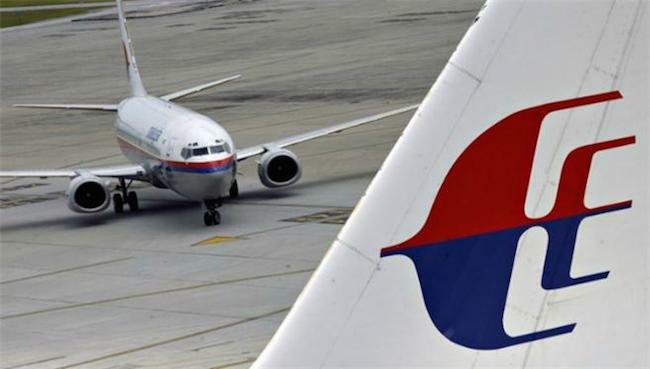 Does Malaysia Airlines instill confidence in its handling of MH370 incident? When tragedy strikes, like it has with the disappearance of flight MH370, the company at the centre of it all comes under intense scrutiny. It must demonstrate that it knows what it is doing and has a difficult situation under control – or lose the confidence of the public and all other stakeholders. If it loses control of the situation it will plunge itself into a deeper crisis as all the frustration and anger of missing loved ones come to bear full force on it. Fortunately for the families and loved ones of MH370, however, Malaysia Airlines has so far has demonstrated its professionalism in handling this crisis-like situation. Their burden remains heavy, but they can at least take comfort that CEO Ahmad Jauhari Yahya and his team know what they are doing. How can you tell if they are doing a good job? There are several tell tale signs. The first is that Ahmad and Malaysia Airlines’ willingness to share information. Perhaps a bit slow off the block Ahmad nevertheless addressed the issue in a Press Conference yesterday where he expressed sympathy for the friends and families of the victims, told the public what they did and did not know yet, and what they are doing. This is the Triple R of crisis communications – Regret, Reason and Remedy. The other indication of what sort of a company Malaysia Airlines is when it comes to crisis management can be seen very evidently from how it manages its digital assets because in this age of the super-connected public, they are the first points of contact for most people around the world who are interested in the developments of the search and rescue and recovery of MH370 and its passengers and crew. The digital assets are primarily its website, as well as its social media channels such as Twitter and Facebook. Companies trained in crisis management usually have a Dark Site prepared for incidents such as MH370. A Dark Site is a “dormant” website that is stripped of all promotion materials and designed to provide information and updates about the incident. It is activated only during crisis-like situations. If you go to the Malaysian Airlines website you will see that they have stripped their website of all promotional materials, with a prominent “pointer” to the Dark Site. Click on that and you go directly to the Dark Site where you get the latest information that the company has on the incident. But Malaysian Airlines does not stop there. Go to their Facebook page and you will see the same messages being posted to amplify their message on the website. The Facebook page is also stripped of all colour and the airlines logo is grey together with a grey background, to prevent any inadvertent visuals that may not be appropriate for the mood. This same treatment is also applied to its Twitter account which is also used to amplify the message on its website. Such coordination and activation within hours of the incident suggests a company that takes crisis management seriously and has drilled its employees to be able to carry out such tasks under the pressure of public scrutiny. It should give confidence to the public that Ahmad Jauhari Yahya and his Core Crisis Management Team at Malaysia Airlines are competent, professional and know what they are doing. In difficult times like this, such professionalism should be a source of comfort for aggrieved families and friends of the passengers of MH370. The article is originally written by Ong Hock Chuan, and is reproduced here with permission. Also read: Malaysia uses “bomoh” to search for missing MH370. Come I clap for you.